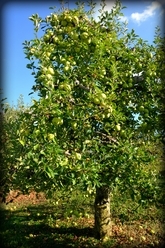 Picking is weather dependent and may change due to availability of specific variety. No purses or bags are permitted in the orchard. We provide containers for picking. There is a minimum required to enter the orchard; any overfilled bags are subject to an additional fee. Walking may be required to the trees. *Times dependent on availability and weather. Call 724-941-1490 to confirm. **Please check sign at the farm entrance for directions to picking locations. *Times dependent on weather and availability of specific variety. Call 724-941-1490 for availability. 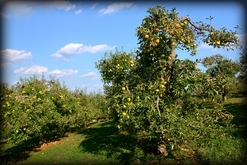 Apple picking at Simmons Farm makes for a great experience, and also is the best way to get fresh fruit. Apples in our market are always picked fresh, but nothing beats picked fresh from the tree. 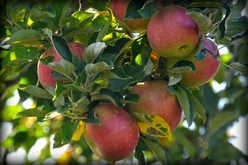 Did you know that most apples in the grocery stores (not local farm markets) are up to 10 months old before you buy them? They also are usually gassed with a chemical prior to shipment to keep them fresh longer. This can all be avoided by picking your own! Follow the signs when you arrive at the farm, they will direct you to stop at our market first or go straight to the orchard. 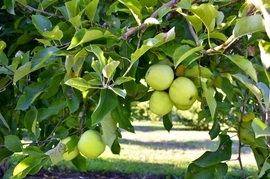 Minimum required per adult, also ground may be uneven and apple tree are outdoor. Varieties change throughout the season so call ahead if you are interested in a specific variety. Large groups/field trips follow this link below for more details.